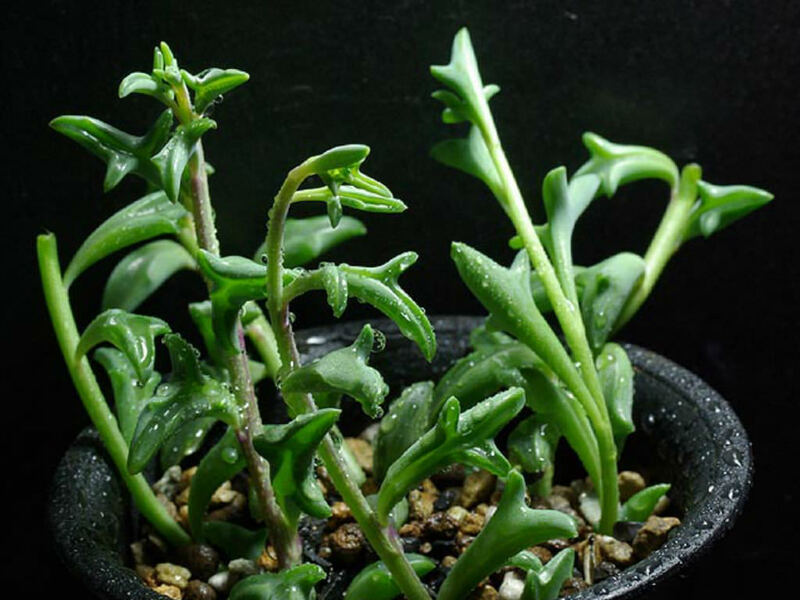 Senecio peregrinus is a beautiful, succulent plant up to 6 inches (15 cm) tall with leaves that look like tiny, little dolphins jumping out of the waves. 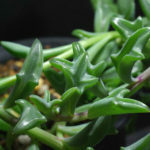 As they grow, they are becoming more and more similar, perfecting themselves as an impressive potted plant. 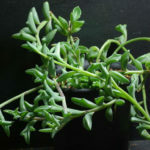 Like all succulents, these plants are tolerant of periods of dryness but will need to be kept moist enough to prevent the dolphin leaves from puckering. 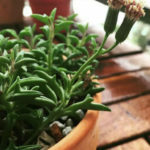 Choose a well-draining potting medium and use a container that is just a bit larger than the plant. 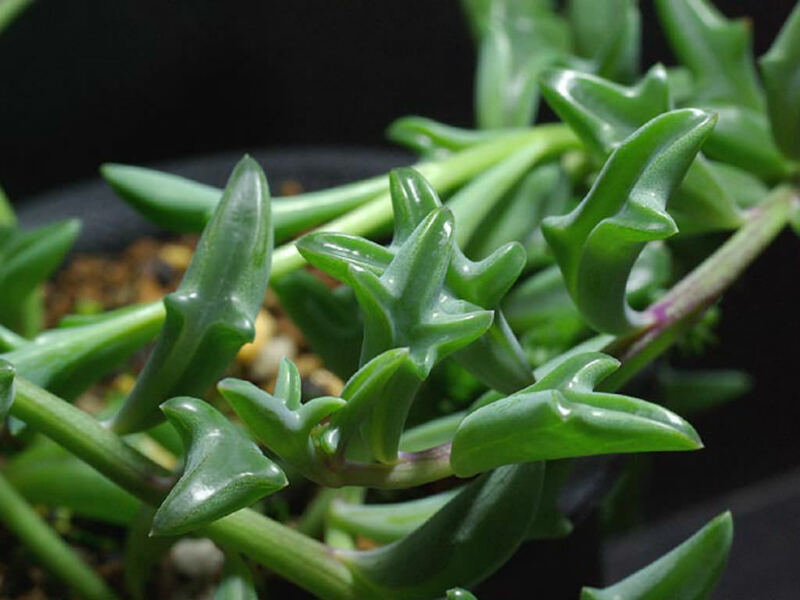 Dolphin Plants thrive in slightly crowded conditions. The optimum average temperatures are 72 °F (22 °C) during the growing season. 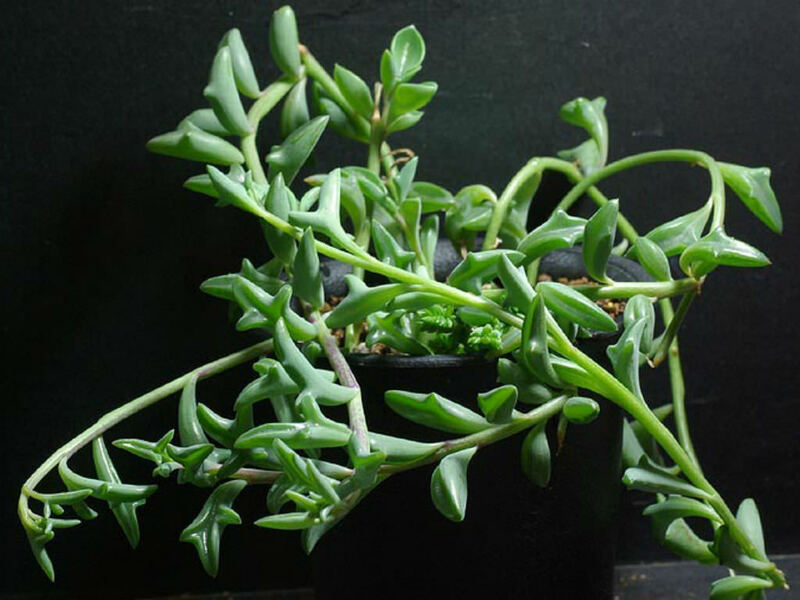 The plant will go dormant in winter and requires slightly cooler temps, around 50 to 55 °F (10 to 13 °C). 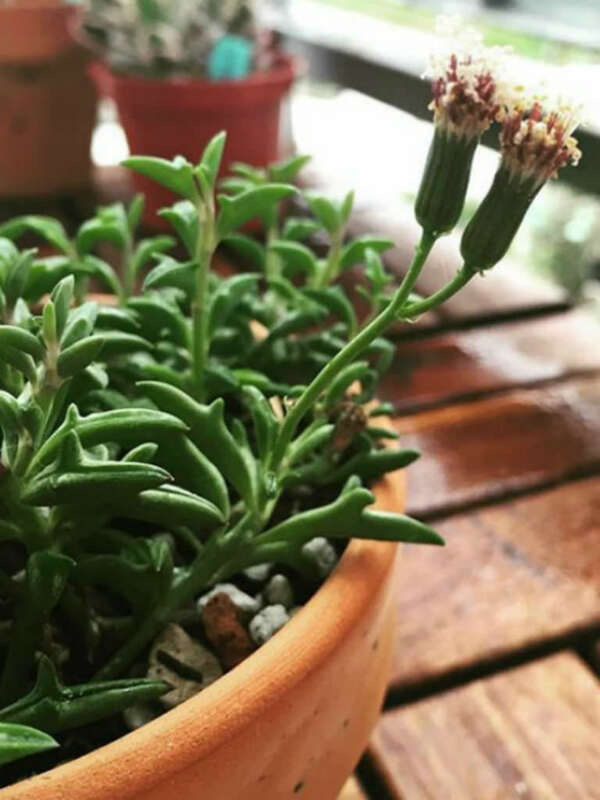 It is a hybrid of Senecio articulatus and Curio rowleyanus (Senecio rowleyanus).